The Anatomy of Developmental Predictors Of Healthy Lives Study (TADPOHLS) is a database that my colleagues and I created, which categorizes items and constructs from 14 prospective longitudinal studies that followed participants from adolescence into adulthood. An online searchable version will be available soon. 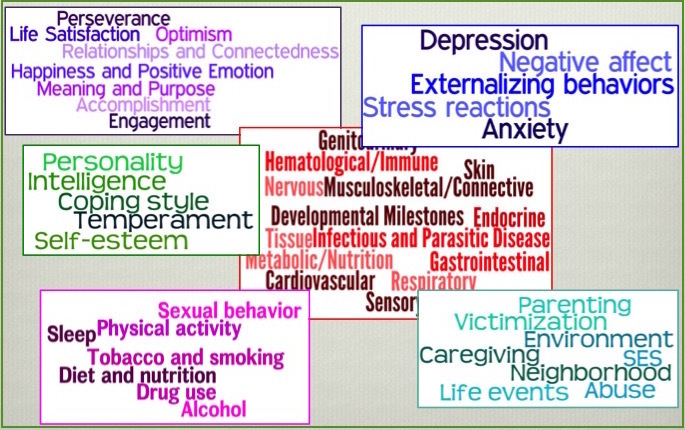 Longitudinal studies are invaluable for investigating the development of health and well-being over the life course. There are now numerous studies available for secondary data analyses that have followed participants across decades of their lives. These investigations have collected detailed information on personal factors, environments, behaviors, physical health, and psychological functioning. Analysts wishing to use one of these datasets can feel overwhelmed in finding and selecting the right one for their purpose. 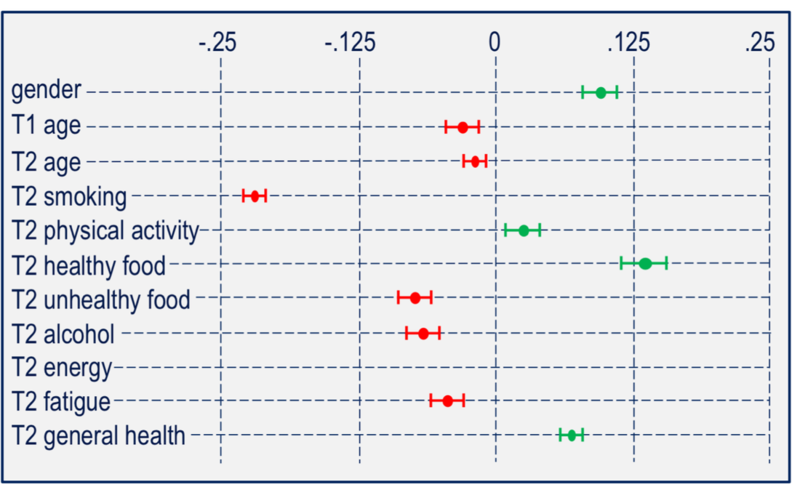 To address this challenge, we developed The Anatomy of Developmental Predictors Of Healthy Lives Study (TADPOHLS) database, which provides a typology of items and constructs from 14 longitudinal studies. A searchable database will be available soon. Please register your interest here. A paper describing the database was recently accepted in Applied Developmental Science. The pre-published version of the paper can be found here. Within each of the six categories, we defined specific outcomes (see Figure 2) and sub outcomes. Figure 1. Hierarchical structure of coding typology. The full typology can be found here. We believe that this typology offers a resource for others, which you are welcome to use if you find it helpful. The data base can be queried to select specific constructs and locate studies with overlapping constructs and items. To illustrate, we examined whether perseverance and optimism measured in adolescence predicted four physical health outcomes measured in adulthood, 15 to 20 years later: self-rated health, physical energy, fatigue, and cardiovascular-related conditions. Four studies had items assessing perseverance and 5 studies had items assessing optimism. Both perseverance and optimism were positively associated with self-rated health and was negatively related to fatigue. Optimism was also positively related to physical energy. Figure 3 shows the pattern of results for perseverance (presented by my co-author, Libby Benson, at the 2014 M3 Conference in Connecticut). Figure 3. The impact of perseverance. Four longitudinal studies across 15-18 years, 23,618 participants. We hope that TADPOHLS will be a resource for other researchers interested in collaborative work, integrative analysis, and studying longitudinal association between adolescence and adult outcomes.